The ranches below have special rate packages for the 2019 season! Come for the ride and stay for the experience, saving on our fantastic all-inclusive vacation packages on these select dates. We guarantee your satisfaction with all the activities and phenomenal trail riding. Fresh and delicious meals, beautiful accommodations, and a lifetime of memories. 10% off our published rates! Pack your finest western wear and join us for a special time where we celebrate our grown-up guests. This adults only special is ideal for guests traveling solo, with friends, or as couples. We guarantee a quiet and relaxing time. We plan your week, you plan your wardrobe! $2700* per person, standard room. 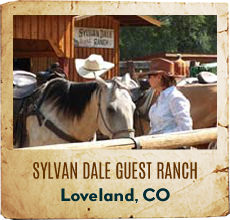 Price includes lodging, all meals, horse and tack, and all ranch amenities! A horse lover's paradise - Experience Southern hospitality and at its finest on this easy to reach ranch located just an hour outside of Atlanta, GA. Excellent food, over 150 horses, heated pool and unguided riding opportunities are just a few of the highlights of this a bona fide horse lover's paradise. Whose relationship doesn't need more play time? Spend a romantic weekend with your special loved one 'Horsing Around' this Valentine's Day at Southern Cross Ranch. A horse lover’s paradise - Experience Southern hospitality and at its finest on this easy to reach ranchlocated just an hour outside of Atlanta, GA. Excellent food, over 150 horses, and unguided riding opportunities are just a few of the highlights of this a bona fide horse lover’s paradise. WEEK OF JULY 1: Join us for a down home, western 4th of July celebration – carnival, piñata, fireworks, parade. FAMILY REUNION SPECIAL: Weeks of May 27, June 3, August 12 and August 19, 2018 – Bring your family reunion of 15 or more people and receive a 15% discount off our posted rates. Never a better time or value! Click here for more information! ADULT-ONLY WEEKS: Weeks of August 26 and September 2 – Enjoy the Fall colors. Single occupancy fee of additional 10% is waived. Limited to 20 guests with a focus on riding and relaxing. Click here for more information! ART WORKSHOP: September 16-19, 2018 – A three-night stay in the high country. Have fun with watercolor in the beautiful fall colors of Colorado! Beginners and intermediate painters will be given tips to painting outdoors with our amazing local artist, Nora Larimer from Rock Run Gallery. $930 for three-night stay, meals and art lovers heaven. Supply list provided upon reservation. Another fun activity option while at Elk Mountain Ranch is the BROWNS CANYON ADVENTURE PARK is an aerial adventure that includes: 4 different courses, 66 unique elements, and 2 adrenaline-pumping features—zips, ropes, swings, climbs, cable crossings—just about any creative way you can think of to get from point A to point B. This is the first Aerial Adventure Park of its kind in Colorado! The Browns Canyon Adventure Park offers a unique and exciting way to spend time together, encourage one another, and build memories with your family or group. Take advantage of our legendary horseback riding program, blue ribbon fly fishing and enough of the creature comforts to refurbish yourself before returning to that hectic world out there. 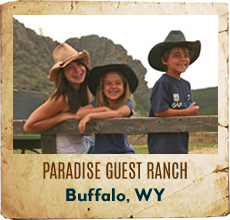 Our Paradise Family will take care of you with a mix of Wyoming hospitality and enthusiasm that you will not often find. Book a trip now between June 4th - 11th or June 11th - 18th and receive approximately 20% off our regular rate per person. Weekly rate is as low as $1,595 per adult! Book soon as these discounts are offered on a space available basis. If Horses And Dogs Aren't in Heaven, I'd Just As Soon Go To Wyoming! 2017 Holiday Special! Call or email us today for package options and details. Get the most out of your limited time with this Goosewing Ranch Holiday Special! This three night package special includes a free extra activity day. Book a three night package from either Thursday June 21 – Sunday June 24 or Thursday July 5 – Sunday July 8 and all party members will receive a free activity day with an early checkin on Thursday. This is over a $200 value per person. Not valid with any other specials or offers. For new reservations only. We reserve the right to adjust package as needed. Valid from December 18, 2017 – January 2, 2018. Must mention 2017 Holiday Special. Spreading Holiday Cheer! The holidays are a time to spend with family and friends and rejoice in life. Your summer holiday should be the same. Goosewing Ranch wants to spread some holiday cheer this season. If you make a reservation between December 11, 2017 and December 24 we will include one free alcoholic or nonalcoholic drink in your package for each day for each person. This offer is only valid for new bookings taken between the mentioned dates, with deposits paid in full. Not valid with any other offer. Last Minute February Special. Great Rates plus Kids 10 and under stay free! 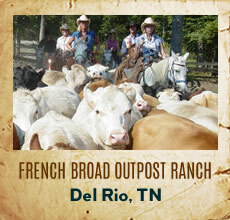 Book your last minute February Rancho vacation with us and save $$ off your total rate. Five night stays or greater: $150 per night per guest based on double occupancy. Four night stays: $170 per night. Plus, kids 10 and under stay free! Single occupancy add $25 per night. Experience our terrific, warm, 70 degree, sunny, daytime early spring [spring arrives mid Feb] season in the Sonoran Desert. Experience true Mexican hospitality, ambiance and food and a desert environment unlike any you have ever seen. 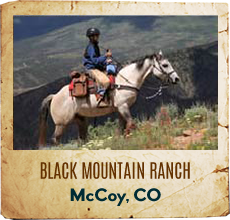 Take advantage of a great deal to stay at one of the world's best riding ranches. This is an all-inclusive, special discount package including weekend roundtrip shuttle from Tucson. Weekday pick up only $40 per guest. Enjoy the majesty and tranquility of the Rancho with our Cowgirls Special, for two or more cowgirls, for four or more nights, at a discounted rate of $200/night/vaquera, based on double occupancy. Standard rate is $250/night, saving you $50/night. Weekend round trip shuttle from Tucson included, as is our all-inclusive Daily Rate. 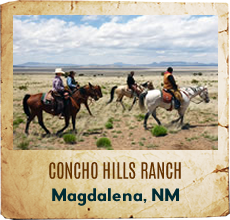 Spend a few nights with other fellow Vaqueras as you ride to all corners of the Rancho. Short rides, long rides, trail rides and back country riding at its finest. On your way through some of the most beautiful country you have ever ridden you will be challenged, awed, inspired, thrilled and entertained. Ride through ravines, hills, mesas, down canyons and up the high sierra. Experience riding in its truest, freest form. Invite family, friends, sisters, mothers, or simply yourself for a great adventure. For March and April, four night stays offered at $900/guest, with five night stays @ $1,100/guest, based on double occupancy. 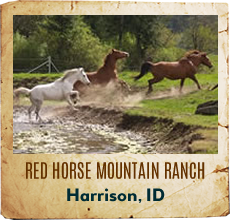 Stay at one of the most scenic, secluded and unspoiled guest ranches in North America. 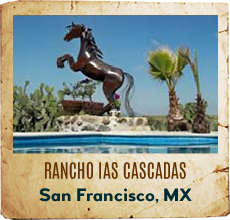 Compared to a National Park, called the most scenic and best back country horseback riding ranch around, a stay at Rancho Los Banos is sure to make for a great holiday. Offering all-inclusive packages, round-trip transportation from Tucson to the ranch, unbeatable rates, unique and exotic scenery, outstanding Mexican food and hospitality, together with world-class riding and hiking. Single Occupancy rates add $20 per night. 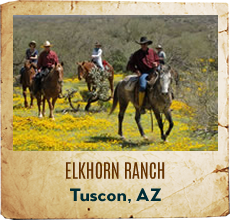 About 50 miles southwest of Tucson, you will find Elkhorn Ranch nestled into secluded Sabino Canyon. This Arizona guest ranch offers unparalleled horseback riding and comfortable living for around 32 guests. 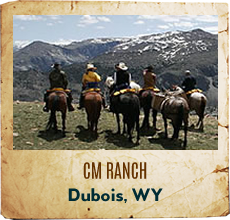 The Miller family has owned and operated Elkhorn Ranch since 1946 and raises saddle horses on the ranch. You’ll enjoy the same horse and saddle all week and small rides tailored to your interest and experience. Plus there’s a hiking guide, heated swimming pool, tennis court and a fabulous library. Elkhorn Ranch is offering GUESTRANCHES.COM fans some super special deals! Mention GRELKHORN2018 when you make your reservation! SOLO OR COUPLE TRAVEL DEAL – get yourself to Tucson, Arizona and Elkhorn will provide complimentary shuttle service to the ranch, valued at $108 per person or $216 per couple. GROUP OF 4 ADULTS TRAVEL DEAL – use “two week or over rate” for a one week stay – a 5% savings. GROUP OF 6 ADULTS TRAVEL DEAL – use “three week or over rate” for a one week stay – a 12% savings. FALL 2018 TRAVEL DEAL – Book a November or early December 2018 visit by June 1, 2018 and lock in the previous season 2017/2018 rates. THERE’S STILL TIME TO SIGN UP FOR A SPECIAL WORKSHOP WEEK IN 2018! Workshop weeks add creative flair and camaraderie to your week, at no extra charge. The rate for the week will be $1727 per person, plus 15% gratuity and sales tax - no extra charge for the workshop! Your all inclusive rate includes all your food, lodging and riding then we add tax and 15% gratuity. Once you get to the ranch, everything is taken care of and the ranch crew do not expect additional tipping – no hidden costs! Learn more by visiting Elkhorn Ranch. Call 520-822-1040. Email Mary. Remember to mention GRELKHORN2018 when you call! Dave Lookingbill provides your education from start to finish. You will be guided through seasoning your Dutch Oven, cooking breakfast, lunch, dinner and a dessert during your four night stay. A special wine tasting evening will help you pair the best vino to your meal. There will be some class work and lots of hands-on experiences. 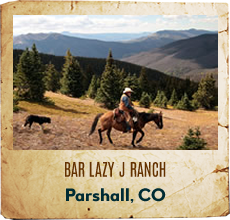 Our cooking workshop leaves plenty of time to enjoy the many amenities of the ranch including some amazing trail rides. The ranch offers a heated pool, fitness center, recreation room and guided hikes. Your tuition includes a margarita welcome party to meet the chef, lodging, all meals, ranch activities, horseback riding, airport transfers from Tucson, the Dutch Oven classes, tax and service charge. If a riding vacation is on your bucket list, this is it. It's never been more affordable. Make the most of winter in Arizona while experiencing a riding adventure with plenty of relaxation. There will be a breakfast ride Tuesday morning, a lunch cookout Wednesday with our hay wagon as your transportation, plus lots of specialty rides like Wine and Cheese, all-day and half-day rides as well as team penning. In addition there will be many daily scenic desert and mountain rides. Guided hikes are available every morning plus we have rock climbing for an additional fee. Evening entertainment varies, but we will make sure we have country/western line dancing and a cowboy singer around the bonfire.